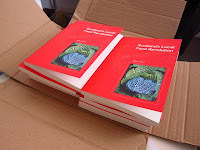 Glasgow Local Food Network: Scotland’s Local Food Revolution book launch in Glasgow! Scotland’s Local Food Revolution book launch in Glasgow! The next book in the Centre for Confidence's Postcards from Scotland series is called 'Scotland’s Local Food Revolution' and it’s by Mike Small, Director of the Fife Diet. This book lifts the lid on the unsavoury reality of our current food system including horsemeat in processed beef products, the unsustainable movement of food round the globe, and how supermarket shopping generates massive waste. 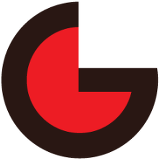 It’s an indictment of a food system that is out of control. But this is also a hopeful book as it describes the local food movement in Scotland and how demands for change are growing in strength to re-capture control of the food system. It also shows how individuals can take simple steps to switch to more sustainable and healthy eating and evaluates what the Scottish Government is doing to address these profoundly important issues. The author, Mike Small, of The Fife Diet, said, "The book is not about the Fife Diet, it’s about the wider movement and the response to the collapsing dysfunctional industry that thrives on maintaining a market for super-cheap processed food and ignores the consequences to health and planet." "It looks at the horsemeat scandal and what it means for our society but also focuses on the amazing creativity and energy behind the hundreds of projects, campaigns, farmers and producers across the land who are finding a better way." Carol Craig, the Centre for Confidence Chief Executive said, "When Mike suggested 'Scotland’s Local Food Revolution' as a title I was happy to go along with it but I must admit that I had a slight niggling doubt that it wouldn’t quite live up to its name. But it does. Indeed the thing that has particularly bowled me over is his description of all the activity that is currently happening in Scotland on eating and growing local food." The book is available to order from Argyll Publishing and costs £5.99. The Glasgow launch of the book will take place at The Glad Cafe on the Southside at 7.30pm on Wed 19 May. The event is free to attended but please book via the Centre for Confidence.